What an eventful week! And it’s only Monday. 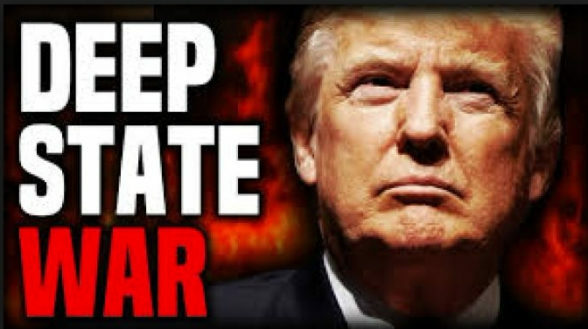 Word is that the FISA declassified documents could begin to be released as early as tonight. Natasha elaborates on the unredacted documents we have been anticipating and the fallout. Thank you, Natasha. Great job. Trump DeClassifies FISA Doc & Texts + EO Holds Them Accountable – KABOOM! Q had some interesting drops for us today, referencing recusal and UNrecusal with respect to Jeff Sessions. Fascinating. Clearly, there’s a plan. Some interesting background has turned up on the woman who accused Judge Kavanaugh of assaulting her in high school since the third party named in the alleged sexual assault outright denied the event ever happened, that is. Is Kavanaugh’s confirmation in jeopardy? Trump says no. This is apparently turning into another circus. The Lucid Dreamer channel has some videos of select information released by Thomas Williams on the Truth, Honor & Integrity Show if you want to get some quick updates on key aspects of the financial system changes as a result of the Manna World Holding Trust taking over all the world trusts, consolidating them into one, for safe keeping, taking control of the United Nations, and the Federal Reserve, and the shenanigans with the banksters blocking the funds the Trust has been trying to release. You may have heard about some “drilling” and loss of pressurization that took place at the ISS. Some of the holes drilled pierced the hull, while others didn’t but it meant an evacuation of the Russian wing of the station. This article goes into more detail. Sabotage in Space: What the Heck Happened on the International Space Station? DAHB0077 advises “they” did a drill for a hurricane, and you know what so often happens during or shortly after these drills… so heads up! There was a train derailment in North Carolina, which they really didn’t need just now with all the rain and flooding going on. The floodwater situation in the Carolinas is very serious and the Philippines and China were very hard hit as well. For those who may want to download an app for free radio when the Internet is down, you can look into this. Very cool. Daniel says it doesn’t work for every phone, but it’s worth checking into it. It sounds like the fires and explosions in many homes in the Boston area may have been DEWs. Jamie at ‘A Plane Truth’ tells us that the latest part of the psychopaths’ plans to unfold is to declare that when these fires and explosions happen, they will have to shut off the power. It’s about taking away our power, he says. Check out the bizarre orb activity with the punchhole cloud after the 8 minute mark. Daniel has an update on George HW Bush (if he’s still alive). Some suspect that since his doctor was murdered, he may have died some time ago and they wanted to keep it quiet. Here is the link to the court documents he was given. And if all the above wasn’t enough, James O’Keefe of Project Veritas tells us they will be releasing their revealing deep state secret video later this week, as well. He gave a very inspiring speech about America, the rights of the People, the problems with the government insiders, etc. Well worth the 12 minutes, in my opinion. This entry was posted in Uncategorized and tagged arrests, Barack Obama, Boston, Carolinas, Category 4, chemicals, deep state, DEWs, drill, drilling, east coast, explosions, fires, FISA documents, flooding, free radio, George HW Bush, hazardous materials, Hillary Clinton, hurricane, International Space Station, ISS, James O'Keefe, Lilesville, love, NASA, Natasha, North Carolina, POTUS, power, Project Veritas, released, Russia, sabotage, simulation, Soyuz, Starship Earth, unredacted. Bookmark the permalink.